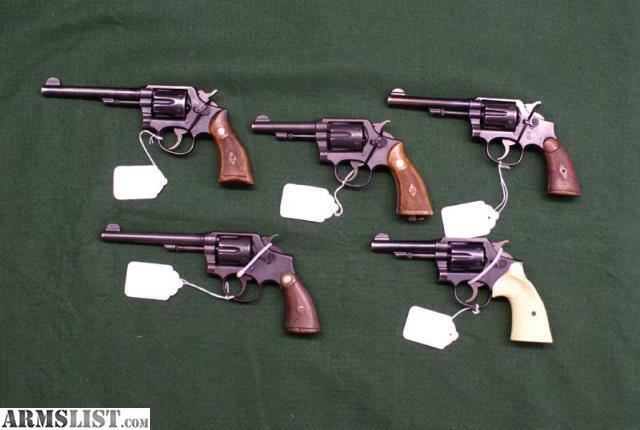 We have a nice group of M&P 1905 Revolvers priced form $499 to $699. Check the picture for condition. We can also send additional pics of any gun shown in the picture. Condition: Used, 6” barrel, cracked grips. SOLD!!! - Inventory # G-40830-1 Price: $699 (center) - SOLD!!! We can provide additional higher resolution pictures of these items upon request.